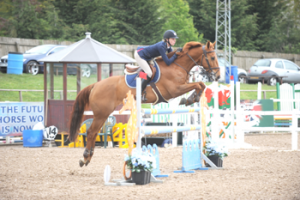 British Showjumping is pleased to announce that India Bussey, aged 14 from Norwich, Norfolk has been selected for the squad representing Great Britain at the forthcoming FEI Children, Junior and Young Rider European Jumping Championships, which will be held during the 10th – 16th August in Wiener Neustadt, Austria. Competition starts on Tuesday 11th August with Children Team medals being decided on Thursday 13th August and Junior and Young Rider Team medals being decided on Friday 14th August. Individual medals for Children will then be decided on Saturday 15th August whilst Junior and Young Rider Individual medals will be contested on Sunday 16th August.